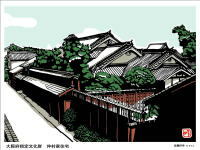 Sugiyama family was one of the old family who was involved in the founding of Jinaimachi town and the family flourished as a sake brewer throughout the Edo period. 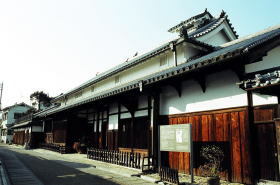 The former Sugiyama family residence is the oldest building among those merchants’ houses in Jinaimachi and it is the remains of a large merchant house of the mid-Edo period. 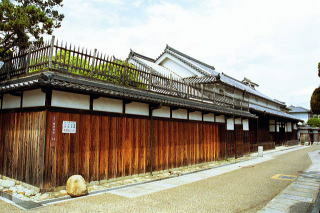 About 9 thousand people a year have visited the former Sugiyama family residence. 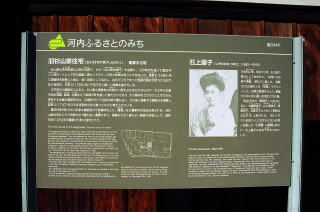 Video presentations are available about the female poet of Tsuyuko Isonokami as well as the history of town development of Jinaimachi. Kirie artcraft works by Mr. Yoshiyuki Kondo are on display in the second floor. 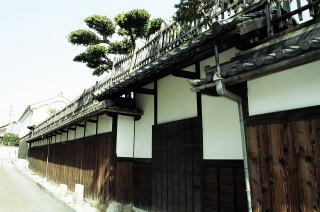 Among the traditional merchants’ houses in Jinaimachi, the building of former Sugiyama residence is the largest and oldest one characterized as an architecture of local farmer’s house of the mid 17th century in Minami-Kawachi region. 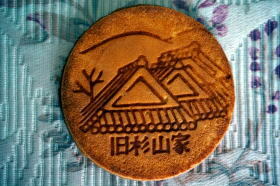 The site was comparable to one block of the village, that was about 3,300 square meters, now down to 1,300 square meters. 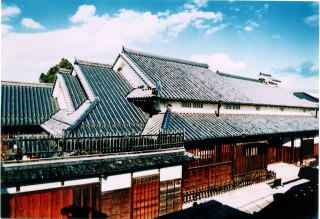 The site consists of the two-story main building and three tatami rooms attached thereto extending to the east, two storehouses for sake cellar and rice granary, and the garden. 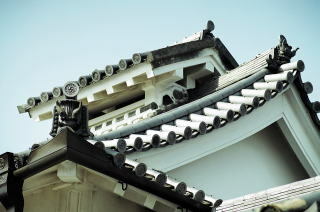 The main house features a large four-layer roof. 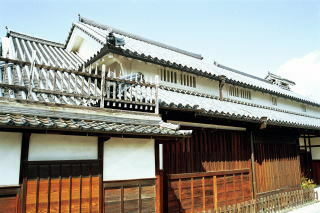 The main house consists of Sukiya Shoinzukuri style room with alcove called Oodoko-no-ma, tatami rooms (front side and back side), tea ceremony room and earthen floor called Doma of farmers’house style. 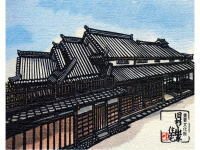 Those interior decorations are attractive features such as wall paintings of the Kano school painter, an Indian ink landscape painting, sculpture in the transom, modern-looking spiral staircase which was renovated in the Meiji era, cooking stove restored in the earthen floor called Kamado. 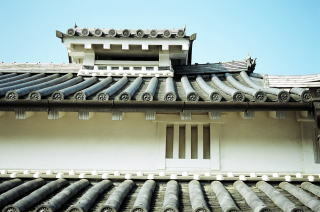 Number of roof tiles amounted to about 40,000 pieces, and half of them have been recycled after the dismantling repair. 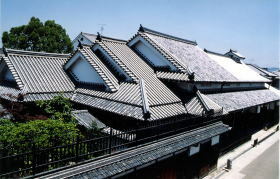 The main house features a large four-layer roof. 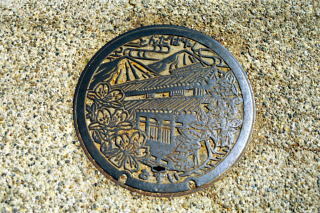 The pattern of the local landscape - Kongo-Katsuragi mountain range and important cultural property and the former Sugiyama residence - has been drawn on the drainage manhole cover. 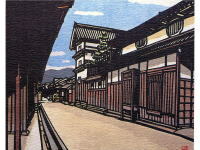 Tondabayashi cho, 14-31, Tondabayashi city, Osaka Pref. About 15 minutes' walk from Tondabayashi Station or Tondabayashi Nishiguchi Station of Kintetsu Nagano line. Parking lots are available at Tondabayashi Municipal east parking newly opened in February 2014 (parking fee required) in the case of visiting by car. December 28 to January 6. 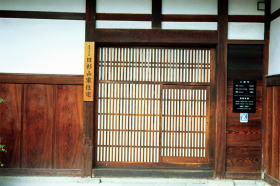 Sugiyama family was the leading founder of Tondabayashi village among the eight founders. The family did business as Wataya. About 450 years ago, the family started involved in new development of the village and initially ran a cotton wholesaler. 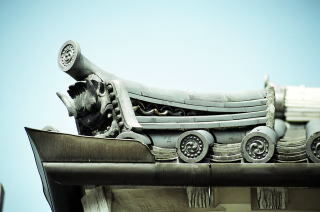 Then they started a brewing industry in the mid-Edo period and greatly prospered as he served as a head of the brewing industry in Kawachi region. The family went out of the business in the mid-Meiji era, facing a new liquor tax introduction as well as a lack of competition with the large-scale production areas such as Nada and Fushimi. The residence is the birthplace of Ms. Tsuyuko Isonokami, a female poet of Myojo school (Her autonym was Takako Sugiyama, 1882ー1959). 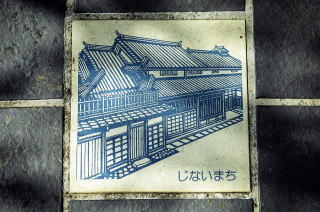 Since the owner tried to sell the land and buildings to a real estate agent, Tondabayashi city decided to purchase them at 166 million yen in June 1983 to preserve the valuable cultural property. Thereafter dismantling repair was carried out at the cost of 230 million yen in two-and-a-half years. 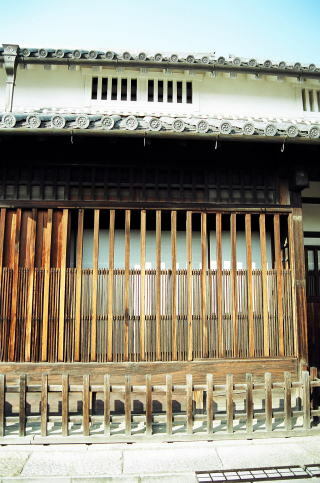 The earthen floor of the main house building was totally dismantled and the tatami rooms of the main house were half demolished at the time of repair. 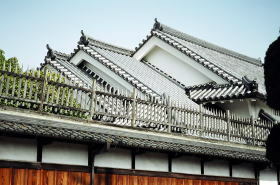 The property was designated as an important cultural property of the country on October 26, 1983 as a typical architecture of merchant’s house which was originated from farmer's house inMinami-Kawachi region. 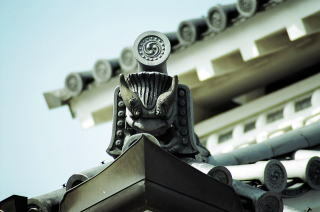 Tondabayashi city has currently owned and managed the property and it has been open to the public since 1987. In Jinaimachi, the ex. 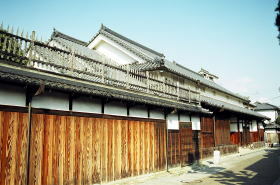 Sugiyama residence designated as an important cultural property, ex. Tanaka residence registered as a tangible cultural property and Katsuma residence are open to the public inside the building. 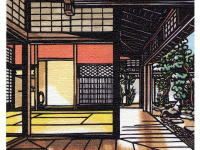 The Katsuma residence is now open to the public as an Italian restaurant from October 2012. 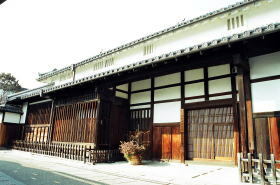 The former Sugiyama residence was used as a film location and shooting of the movie titled Maihime directed by Mr. Masahiro Shinoda in 1989, starring Hiromi Go was held. 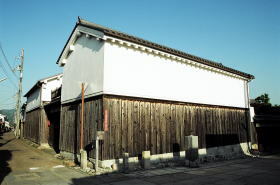 Sugiyama family’s records have been in exhibition categorized as a " document of the village" and as a "document of the sake brewery" in the Kyoto University Museum. Guided tour service by local volunteers is available for visitors in group. Advanced booking is required. Please contact the Jinaimachi Visitor Center (Jinaimachi Kouryuukan) for inquiries.